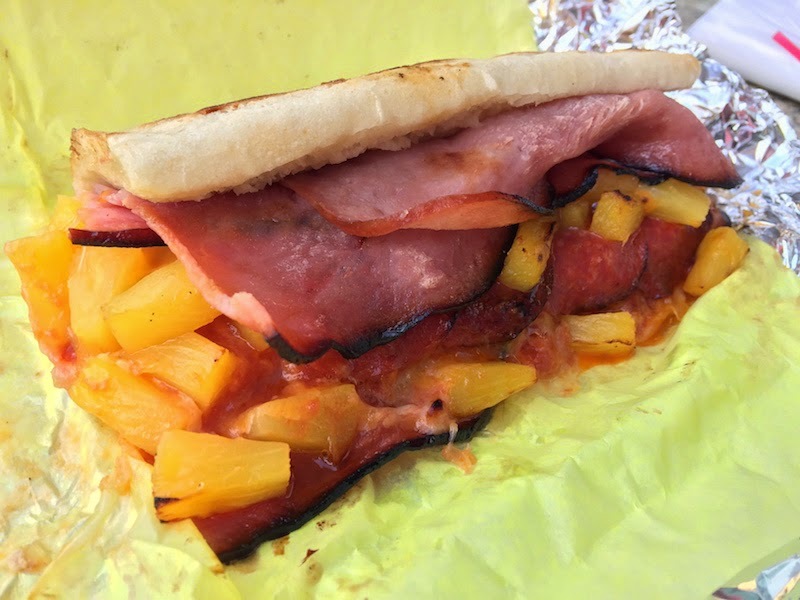 Oregon is on the opposite coast from New Jersey, but you can still get a delicious Italian sandwich. Read my full review with pictures after the break. 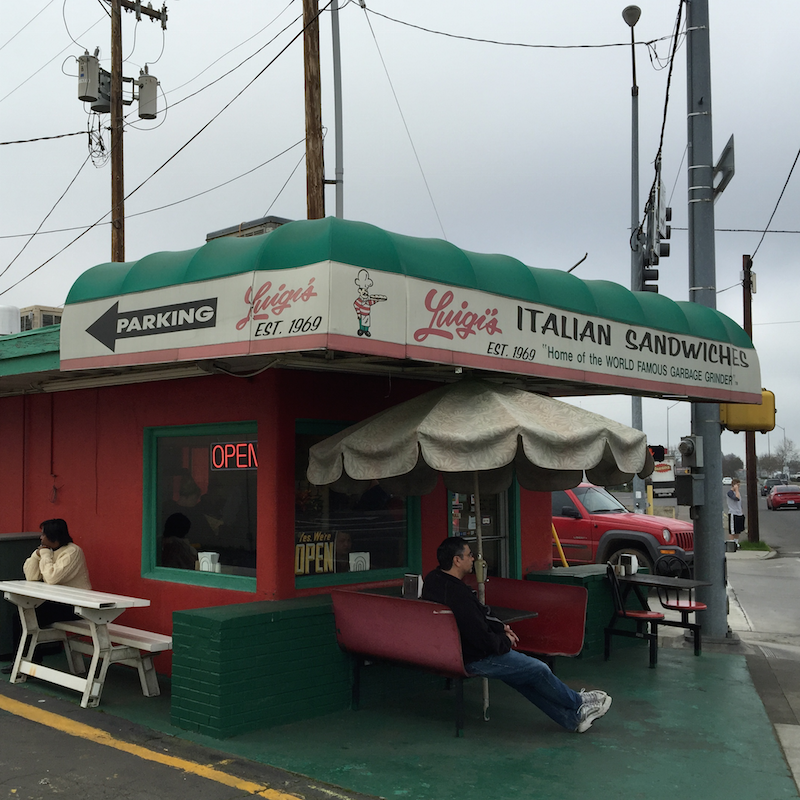 Luigi's has been on a busy corner of Medford, Oregon since 1969. This small shop is like a little piece of New Jersey with its Italian sandwiches grilled to order. There's a couple of counter seats inside and a few benches outside, and the line is usually to the door. The sandwiches come in 6", 8", and 12". We got two of the 12"s.
Everything is grilled: the meat, the veggies, and the bun. 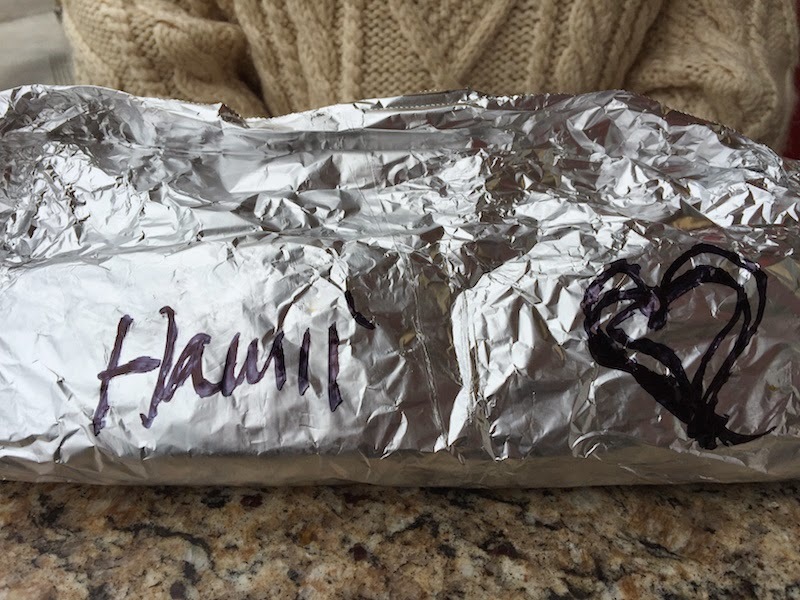 The sandwiches are wrapped in foil and are almost too hot to eat when you get them. 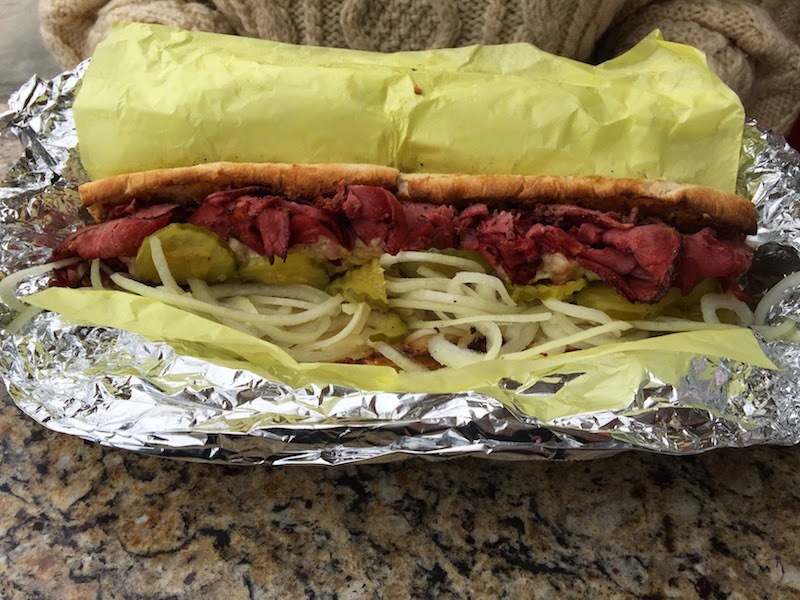 Piled with grilled meat, made fresh, and simply delicious. Ultimate Garbage Grinder: it's awesome, of course. All the meat with peppers, onions, and olives thrown in. Meatball Sandwich: light on the marinara sauce (which I like), and very meaty. Philly Cheese Steak: I like this better than a traditional Philly because Luigi's grills the sandwich bun. TIP: Call in your order before you show up. We saved at least half an hour waiting in line. 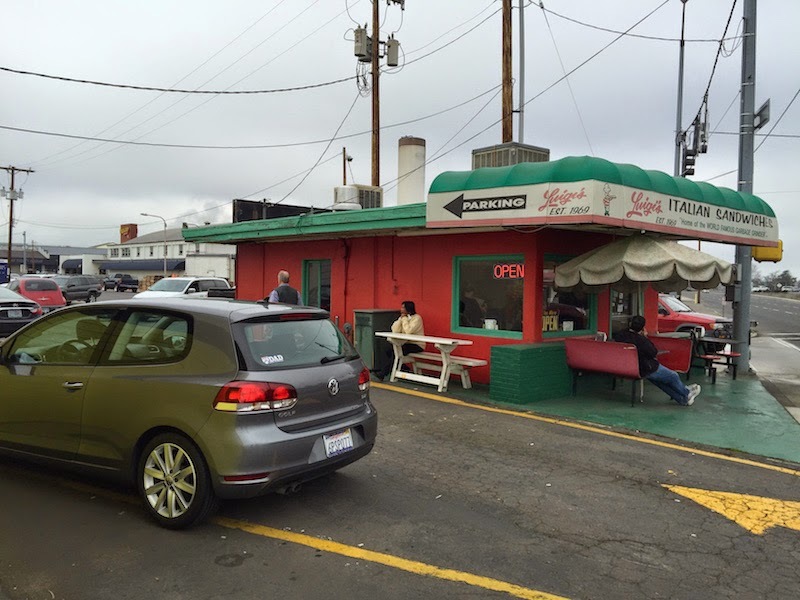 Luigi's is very easy to get to from Highway 5, so be sure to stop by if you are driving between California and Oregon. 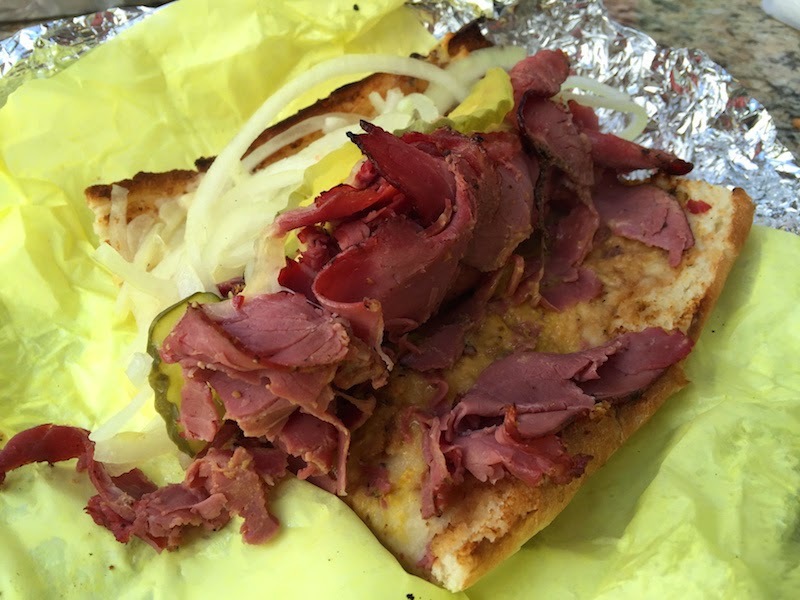 These sandwiches make perfect to-go food for your road trip.